While living in The Vue apartments, every once in awhile you’re going to have an urge to spend time in some of San Pedro’s most exciting dive bars. 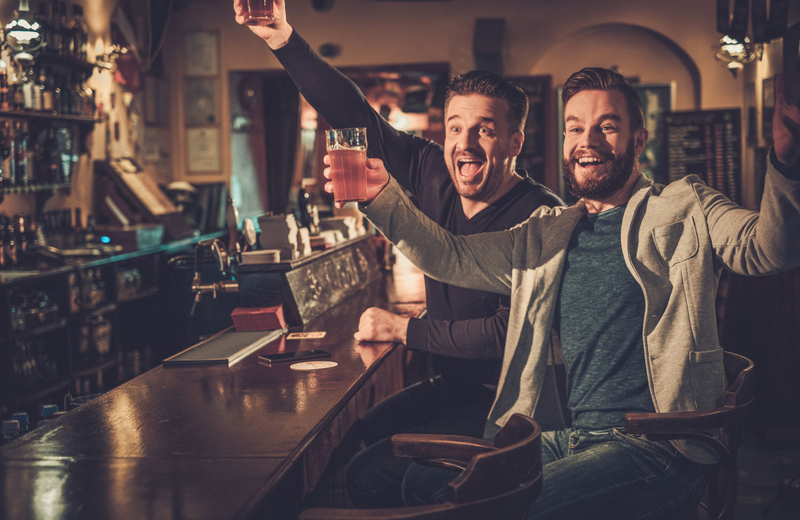 Everybody loves slumming it every once in awhile, and it’s always good to do so at some of the hottest local dive bars in the area. Why is this such a fun way to enjoy a night out? Well, at times it’s a lot more fun to dress down, visit a local sports bar and have cheap drinks and even cheaper shots, play pool, listen the local bands, and forget about life for a while. You can’t always be expected to want to ham it up at fine dining restaurants. Sure, that’s definitely a nice option to have when you make the kind of money that you make, but it’s also lots of fun to mix it up with the locals in some of the dirtiest, grimiest, and scariest places in San Pedro. All kidding aside, the top five local dive bars in San Pedro are actually very clean, well-kept, in good condition, and inexpensive. They might not be in the nicest neighborhoods, but they are definitely worth your time and you’ll really be able to kick back and have a lot of fun. With that said, let’s begin looking at the top five dive bars in San Pedro right now. As far as dive bars go, June’s Bar is a great little spot for all to enjoy. It may be small, but it always has a nice crowd and it has really nice HDTVs as well. There’s always going to be an exciting sports game on TV while you’re there, and if you like listening to jazz, you should really check out Tuesday evenings. Not only is this a fun place to go to watch sports, it’s also exciting because there’s a pool table and live musical entertainment. The bartenders are really cool and they’re very attentive, so you never have to scream at them to get their attention when trying to get another drink. The beer’s always ice cold, the shots flow nicely, and everybody seems to have a good time while they’re here. Although this is definitely a dive bar, this crowd is not too rough or rowdy. As a matter of fact, they are very friendly though and you can stop by even if you aren’t a local. They’ll treat you like one of their own. And all the bartenders are always friendly, nice, and they even entertain everyone by telling jokes to keep you laughing all night long. So, if you’re looking for a new dive bar to check out, we highly recommend giving June’s Bar a chance. You will not be disappointed. Godmother’s Saloon is another excellent choice if you’re looking for a fun and exciting dive bar to visit while in San Pedro. Why is it such a great option? On Wednesday nights, they have live jazz music and Friday nights always features another great live band. These bands play right on the floor for all to enjoy. Plus, they make really strong mixed drinks at this local watering hole, so you definitely get more than you paid for. And the crowd is an amazing mix of all types of people. You’ll find longshoremen, businessmen and women, old ladies, and just about everybody else in between. So if you’re looking for a diverse crowd, then Godmother’s Saloon is going to be right up your alley. Don’t worry because it’s a clean place as well. Plus the bathrooms are well-kept up and taken care of, so you don’t have to hold back if you’re worried about cleanliness. They take good care of this bar and keep it very clean. With a name like The Spot, you probably expect this to be a hole in the wall that you’d never visit in a million years. But nothing could be further from the truth. In fact, The Spot is an awesome watering hole that everyone seems to love. For starters, they have a jukebox filled with all of the best hits. And on Wednesdays and Sunday nights, they have karaoke. Even the bartenders like to sing karaoke from time to time. Most important of all, the drinks are really stiff, the beers are always cold, and everybody seems to be having a good time. Isn’t this all that really matters? This place has a great atmosphere as well. You’re never going to run into a bunch of stuffed shirts in a place like this. Plus, they have a pool table and there are some incredible players that frequent this bar. Try not to get too drunk and begin betting these sharks because they’ll take you for a ride if you aren’t careful. TC’s Cocktail Lounge makes the list because it is truly one of San Pedro’s best dive bars. So many people seem to love this place. And why wouldn’t they? There’s a nice crowd, great bands, and friendly bartenders. What’s not to love? This place isn’t filled with hipsters, snobs, or other people you’d rather ignore. They don’t have a zillion different beers to choose from, but they do have ice cold beer, stiff drinks, and a great place to relax and unwind. And if you’re up for it, you could even do a little dancing if that’s your thing. Last on our list is Harold’s Place. This list is not really in numerical order, so don’t think Harold’s Place is the worst of the bunch. That’s far from true because this is a fun little dive bar that’s perfect for everyone. It’s clean, orderly, and it has friendly bartenders. The beer is cold, the people are alright, and the whiskey is cheap. So, if you’re looking for an inexpensive night out in a fun little hole in the wall with cheap booze and loud bands, Harold’s Place is definitely the place for you. Check out every one of the top five dive bars in San Pedro the next time you’re in the area. You’re going to love these fun holes in the wall bars.